Overhead view of a Royal Air Force (RAF) Short Sunderland Mark V (SZ568) of 235 Operational Conversion Unit (OCU). The aircraft squadron code has been altered to remove the aircraft's "A." Operational Conversion Units were the last stop for RAF crews to receive training in specific aircraft types before being posted to combat squadrons. SZ568 was delivered to the RAF in November 1945. She was assigned to 302 Ferry Training Unit until April 1946, when she was passed to 4 Operational Training Unit (OTU). 4 OTU became 235 OCU on July 1, 1947. SZ568 spent its entire career as a training aircraft before being stored in 1951. She was scrapped on October 19, 1956. The Sunderland Mark V was a suggestion by the aircrews of 10 Squadron of the Royal Australian Air Force, which flew Sunderlands for the entire war out of the United Kingdom. The Sunderland Mark III's Pegasus engines were overloaded by the increasing weight of the Sunderland, and were operated at war emergency power for most of each patrol to avoid losing altitude. The Australians recommended the Sunderland be converted to the Pratt & Whitney R-1830 Twin Wasp engine, which already powered the Douglas C-47 Dakota and Consolidated B-24 Liberator, so ground maintenance crews were familiar with it. The Twin Wasp engines allowed the Sunderland to stay aloft with two engines out on the same wing, and could even remain at altitude. The tests of a re-engined Sunderland Mark III were successful, and the Mark V was put into production immediately, reaching 228 and 461 Squadrons in February 1945. 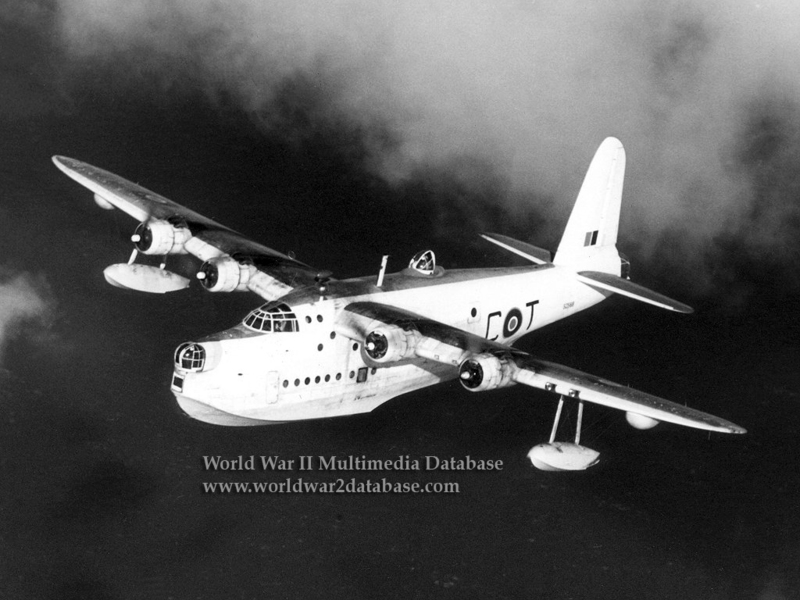 155 Sunderland Mark Vs were built, and thirty-three Mark IIIs were converted to the new engines as well. Production of the Sunderland Mark V ended in June 1946, but the flying boat continued to serve with the Royal New Zealand Air Force until 1967 and flew commercially until the late twentieth century.